Fans of the TV host were happy to see him spending time with his children. 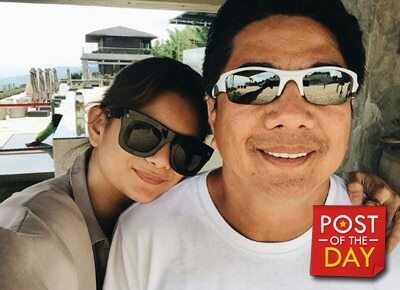 Actress Meryll Soriano posted her weekend bonding with her father Willie Revillame and brother Juamee on Instagram. In the photos, Willie even played basketball with Juamee in his home in Tagaytay. Her followers were happy to see them together as a family and Willie even gave his 7-year-old son a personalized jersey. Juamee is Willie’s son with ex-wife Liz Almoro.